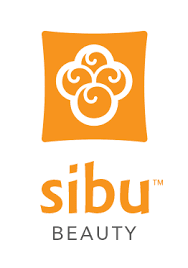 Sibu Beauty wsa born in 2003 after founder Bruce McMullin found himself in Calcutta, India. While there, he crossed paths with an ayurvedic specialist in Chinese plants and herbs. As they talked, the specialist mentioned how powerful the holy fruit Sea Buckthorn berry is. It all started there. This has a very citrus aroma. In fact, I smell orange zest. It applies easily and well with no clumping. It doesn't leave you with slimy skin and soaks right in to dry skin. This product is easy to apply. I get itchy hands sometimes, during the Winter because my hands have dried out so much. This is a fast solution, which doesn't create a mess. The itch vanishes upon impact. Application areas feel silky without the wetness of other products. These areas have a sheen to them and no burning sensation. Aaaggh! In a word; incredible. I've tested many different brands by now and this is one of the best. After gently massaging cream on my face and neck, I noticed a smoother appearance (less wrinkles and lines). Normally, it takes a few days for such results. However, this was almost instantaneous! Remarkable. I am looking forward to further use and lesser facial flaws. I really like all of these products and highly recommend them. They are also GMO free, cruelty free, vegan and Fair Trade. You may purchase them online, from the link below.